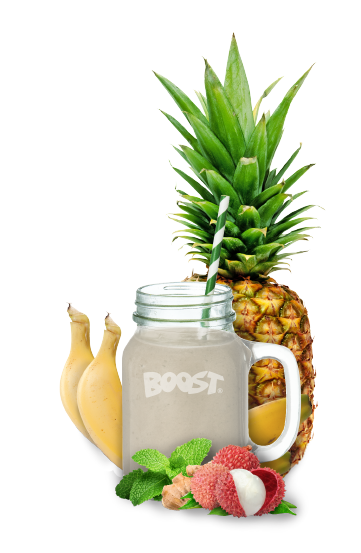 Boost Juice has partnered with four Australian celebrities to launch a limited edition range of smoothies and juices for summer. Carrie Bickmore, Jules Lund, Adam D’Sylva and Justice Crew have each created a unique concoction to reflect their personality and taste. To make their recipe even sweeter, Boost will donate 50 cents for every one of their drinks sold to the charity of the celebrity’s choice. Janine Allis, founder of Boost Juice said it’s been great working alongside these household names and seeing what recipes they come up with. She also said it’s been “fantastic” to be able to give back to vital parts of the community. “Boost Juice has had a lot of fun working with such great Australian talent and is proud to be able to give back to charities so close to their hearts. We’re always looking for new and fun ways to support causes that strike a cord with our company and customers and our celebrity smoothie range has provided the perfect opportunity to do just that,” Allis said. From November 3rd until Christmas Day, Boost Juice customers can indulge in Carrie Bickmore’s Bicker’s Brain Freeze (3rd-16th November), Jules Lund’s Brotein Smoothie (17th-23rd November), Adam D’Sylva’s Chef’s Tropical Infusion (24th November – 7th December) and Justice Crew’s Justice Crush (8th-25th December).